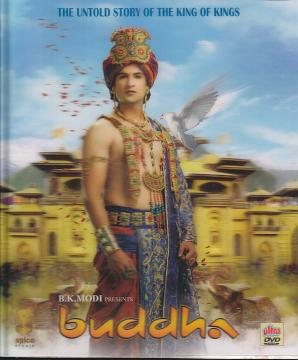 Born as Prince Siddhartha in the year BC, after years of waiting and yearning, on a full moon night, to his parents King Shuddhodana and Queen Mahamaya, he was a unique child, even at birth. Carrying the 32 signs of greatness and predicted to be the saviour of humankind by some, and a mighty king of kings by others, Siddhartha proved both the prophesies to be true. In his growing years, he was the ideal warrior prince, the pride of his father’s eyes and later to his lovely wife Yashodhara, he was the devoted and sensitive husband that all women dream of, but few are blessed with. Despite his father’s extreme protection of him from seeing suffering of any kind, lest he move towards fulfilling the latter prophecy of him being a thinker and philosopher, even as a child Siddhartha by his very nature ever-questioned and pondered about all phenomena around him. Siddhartha wondered about all things- from social to physical and natural to man-made, and he was hugely compassionate and uncompetitive by nature. Siddhartha’s questions were not born out of the natural curiosity of a young boy about the world around, but of a deeply rational yet philosophical concern for the state of the world that he saw around him, and his devastation was compounded in his youth when the wall of protection from seeing suffering that his father had built around him, crumbled. It was an enlightenment, that shone not only his path on earth, but also showed the way forward for all mankind, that would illuminate the world with his teachings for thousands of years to come, as it gave birth to the Buddha-a word that today symbolises truth, peace, love, compassion and righteousness that he stood for, like no other. It is no wonder then that there is a revival of the relevance of Buddha’s teachings and beliefs in the modern world. This item in Specialty Video DVD category was first added to our catalog on 05-22-2016. Buy Buddha Hindi TV Serial 13 DVD Set (2013) - /w Eng Subtitle, sold & shipped by Movie Time Video where you can shop online for Pooja Mandir, Bajot, Gifts, Hindi Movie DVD / CD, Music Video. This Specialty collection has been tagged as inspired true story, buddhism, hindu religion, Hindi tv serial, buddha, buddha tv serial, hindi new series, super hit serial.